Although we now tend to think of the Victorians as stuffy traditionalists, when it comes to exploration they really had it nailed. When the famous names of the times returned from far off places, they often brought new plant specimens with them. Obviously they made it into museums and botanical gardens, but they made it into private gardens as well. In many ways, Victorian gardeners were more adventurous and forward-thinking than we are now, and you would have found some very interesting plants growing in their gardens. Our love of novelty in the garden may have been extinguished during the Dig for Victory campaign of the Second World War, when quantity was more important than variety. Or maybe it is sated by the ever-changing displays on the supermarket shelves. Whatever the reason for its decline, I think we should take a leaf out of the Victorian’s book and have a bit of a revival of some of their favourite edible plants. 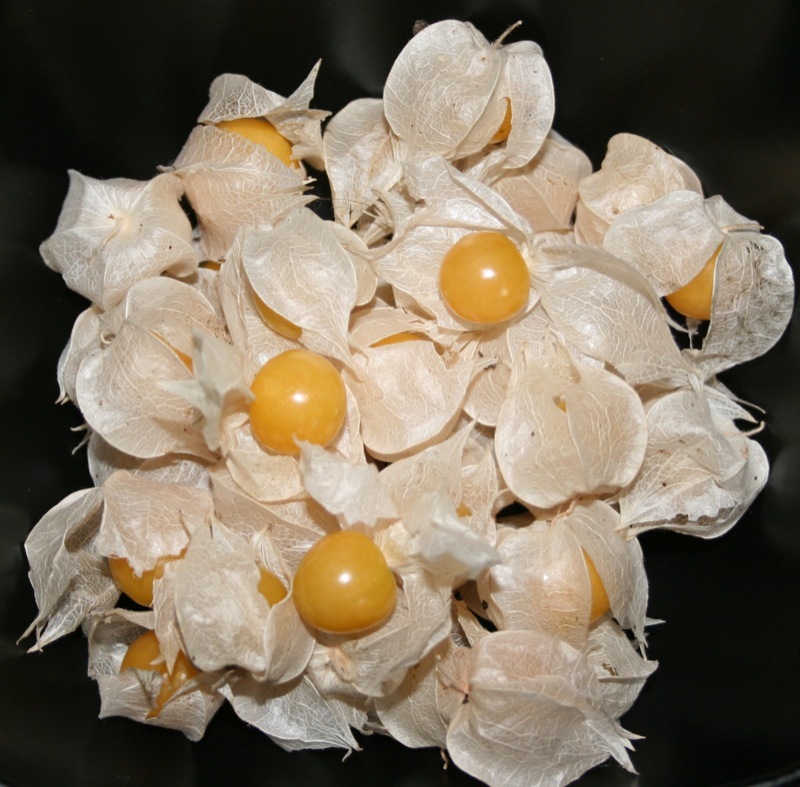 Another fruit that is considered exotic now but would have been familiar to the Victorians is the physalis, or goldenberry. If you have a look in a copy of Mrs Beeton’s famous book on household management you should spot a recipe for jam made from tipparees (goldenberries). They were familiar enough not to require an explanation, unlike the tomato. They’re easier to grow than tomatoes, as well. These days we tend to unwrap their papery fruits and dip them in chocolate to impress dinner party guests. In Victorian times you would have to work harder, and grow your own pineapple! Sea kale was another feature of the Victorian kitchen garden, ‘forced’ in spring (blanched, really) by being covered in one of those beautiful tall forcing pots that are so expensive these days. You can get the same (physical) effect with a black plastic bucket, but it doesn’t give your garden quite the same ambience. 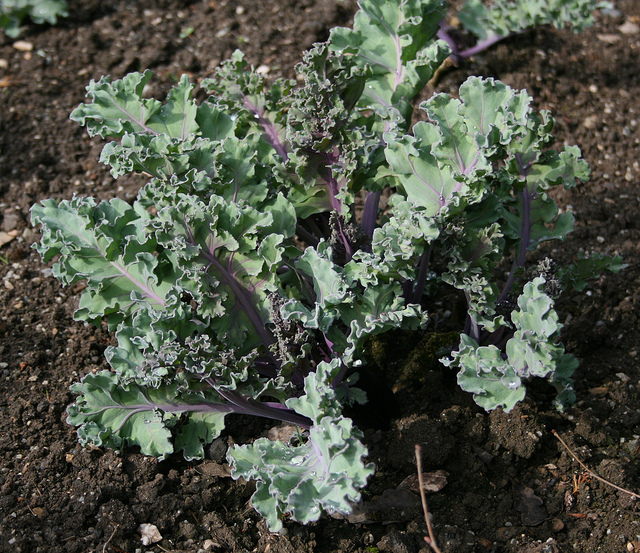 Sea kale is a perennial plant. You can grow it from seed (I did) reasonably easily, but it’s more normal to buy a root cutting – what the Victorians would have called a ‘thong’. Starved of light in the early spring, sea kale sends up pale, tender leaves that were considered to be a seasonal delicacy. You may prefer not to faff about with the bucket, but to enjoy the early leaves young and green and fresh from the plant. It’s a member of the cabbage family, but you wouldn’t think so to look at it – it’s scalloped leaves are a paler shade of green than Brussels sprouts and kale. If you’ve winced at the price of saffron on the supermarket shelves then you may be surprised to know that the world’s most expensive spice was once grown commercially in England (that’s how Saffron Walden got its name). The traditional Cornish saffron buns are a bit more affordable if you grow your own, which is surprisingly easy to do. It’s not like you need a whole field to supply a family with a year’s supply of saffron. You just need to edge a bed, or plant up a trough, with a few corms in midsummer (which is when they’re dormant) and you’ll be harvesting three red strands from each flower every autumn from then on. If you don’t fancy saffron buns you can always add some to your pilau rice – after all, we’ve been enjoying Indian food for over a century. Whether you love tradition, or novelty, in the kitchen garden, these plants have got you covered. You can add “expanded our horticultural horizons” to the list of things the Victorians have done for us, while you’re potting them up. This guest post was written by Emma Cooper, who popped by on a virtual tour to promote her new ebook. Jade Pearls and Alien Eyeballs is an ebook about unusual edible plants and the people who choose to grow them. You can find out more at the book’s homepage and read a preview at Smashwords. Jade Pearls and Alien Eyeballs will be published on 1st May, available in a wide variety of ebook formats, and priced at $2.99. Exactly 🙂 Quite a lot of gardeners grow their own because they know it tastes better, we know fruit & veg lose something on their way to the supermarket shelves. But a lot of people don’t know that there’s things that don’t make it into supermarkets, but are easily grown at home. Jade Pearls and Alien Eyeballs is very much about what else is out there. Fascinating plants, so interesting. I’ve been inspired to be more adventurous in my planting by Mark Diacono but this has really set me thinking too. The book looks fab. 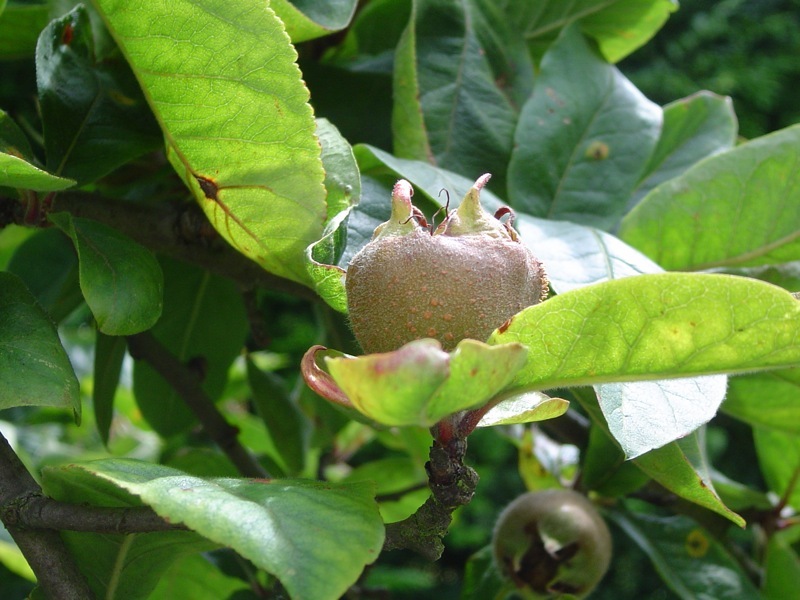 Fascinating, especially about the Chilean guava, how interesting to know that they were once everywhere. A shame they aren’t still about. Thank you,a very informative read. 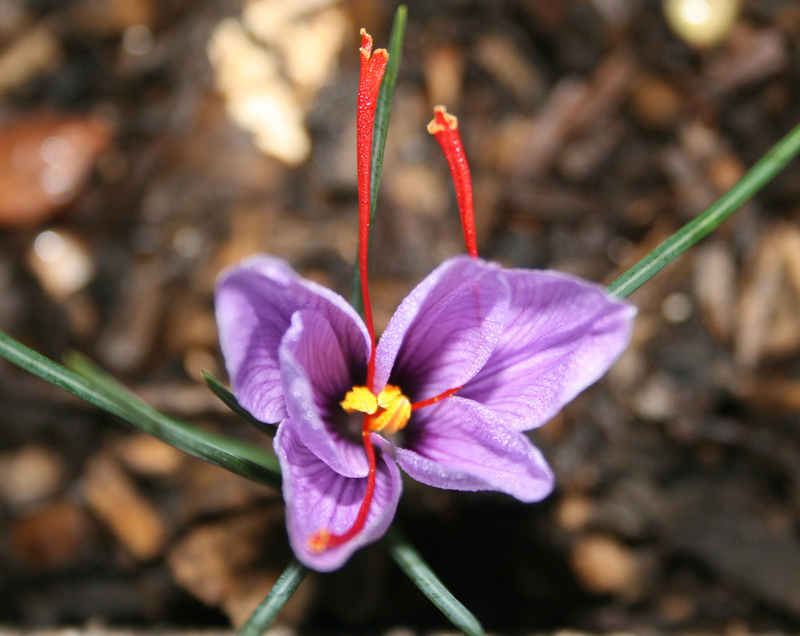 I certainly did’nt know that the Victorians were so adventurous nor about growing your own saffron. Thanks Emma – it was great to have you here! Your post has clocked up more views than any of mine recently. Can’t wait to see the book when it’s published next month.